We like patterns and signs to reduce complexity into something more manageable, and then we like to construct stories to explain how people and the world around us work because we like to feel that we know what we are doing, like we have some control over how the world works, so that we can say that everything is ok. But in order to find meaning, we create meaning and when it feels right to us, then we say that it is so and we interpret signs, logic and symbols in that way. 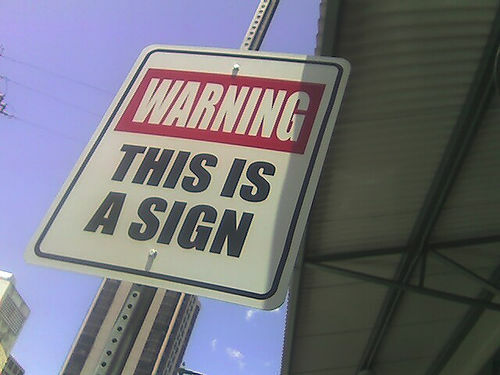 However, semiotics is not the study of what meaning is, but the study of how meaning is created. In her book Semiotics and Storytelling, Bronwen Martin says that it is not just signs which help us make meaning, but also the approach of the Paris School of Semiotics led by A J Greimas which is a complete way of understanding a text, and everything it has to offer us. Meaning is constructed by the reader. In the same way as the no function in structure principle. When someone comes across an artefact without instructions, then they will find a completely new purpose for it, depending on what they need it to do. Text is complete within itself and meaning comes from its structure and language rather than the ideas it contains. Story structure underlies all human communication. It seems that archetypal story patterns are hard wired in our psyche so that eyewitness accounts in court which conform to these patterns are the most likely to be believed as truth – they resonate. In order to be human, we must have a goal or quest, and from there, we have our experiences which we try and understand and make sense of (as the study of phenomenology: the study of the structure of experience, does). There are three levels of meaning in a text: the narrative level which contains the story-structure; the figurative level, which looks at time place and character; and the deep level or thematic level which links to our inner mental world with its concepts of good and evil. Any narrative is a change of state or movement from one opposite to another: From life to death, or from conflict to harmony. It can be sudden or progressive where the hesitation has us on tenderhooks and we feel that it may still be possible not to complete the transformation, and that there could be an alternative ending. If a story is long, then it may have multiple transformations which are known as episodes. The axis of desire: Any quest is motivated by a lack – of love, knowledge, truth – which leads to doing, transformation. The axis of power: A story may contain two subjects who quests are in opposition, they could be pursuing the same goal, or one subject takes the other as its object like a stalker. The axis of communication: The sender is the motivator for the quest and when the receiver receives the information, they are ready for the quest to begin and the action begins too. Then, there is the canonical narrative schema (or global narrative programme of the quest) which has the sender and receiver negotiate (a) the initial contract to set up the quest which is then followed by (b) the competence stage when the subject (receiver) has the ability to carry out the quest, and (c) the performance stage when the actual event happens. Finally (d) sanction is where the outcome of the event is revealed and interpreted. The story of any individual in a narrative can be described in terms of deterioration or improvement, and the choice of which term to use depends on the point of view chosen by the narrator. Often the confrontation of subjects results in the transfer of an object of value from one subject to another by test or conflict, or by a gift, or exchange. Sometimes the narrative is interrupted by an active force or persuasion which causes a new quest and narrative to begin and leads us into a new direction. The figurative level describes and creates our sense of time, place, and character, with descriptions which use our five senses. This level is important in storytelling and is also used in news stories to quickly set the scene and anchor it in our reality. At this level we are looking for lexical fields or figurative isotopies. So, house, shop, car, factory belong to the isotopy of the city, whereas wind, rain, sun belong to the isotopy of the cosmic. We look for those relating to time and space and those which repeat themselves. Then we look for differences: high and low, light and dark, to gain sense and meaning, and which link us to the thematic or deep level. The deep level concerns our inner world, our thoughts, and once we know where transformations occur and what is at stake then we can figure out what that means to us. Then, it is time to ask: Where do the values come from? Martha Beck says that she was surprised when collecting folktales in China as they were never about falling in love, they were always about getting rich. So, in any story, we need to ask: What tradition are the values linked to? And does a story strengthen or challenge the status quo? Does it echo dominant cultural beliefs? There are so many myths, so much resonance of stars as souls, a desire to return to an original unity, songs as a yearning for beauty and the sacred, we often don’t recognise them explicitly. But, then if there are gaps or ambiguities in a text, does this allows us to fill them with our cultural heritage and assumptions? Does this render a text more universal? Or more truthful? After all what is truth? Is the narrator truthful? Is the point of view true? Semiotics is concerned with the feeling of truth because it is the only measure of truth which human kind has been able to devise, no matter how far we think we have come. If I like a moment, I mean me, personally, I don’t like to have the distraction of the camera, I just wanna stay in it. In The power of now, Eckart Tolle says that in any given moment we have three options: remove ourselves from it, change it, or accept it totally. Sometimes though the present moment is just too much for us, so we do what we can to overcome it. Tolle says that this is an insane way to live, because the present moment is all we have, which is all good and well for Tolle. He gained enlightenment on a park bench in Russell Square and has been euphoric ever since. Whereas the rest of us, for better or for worse, have to rely on modern technology to get a semblance of that same euphoria, which is where things become tricky. Often, technology owns us, instead of the other way round. With our phones, we can capture and share any moment we ever experience. And, if we feel unable to live fully in a given moment, then we can always postpone it and then experience it later. Sometimes, we don’t always want to though. When my daughter was born with kidney failure, I kept a blog for the first two years of her life, because I couldn’t bear talking about it on the telephone to anyone. I read it the other day for the first time in ages and really didn’t enjoy remembering all the moments my memory has tidied away. But, even when a moment is brilliant and we recognise its importance, we can risk not experiencing it at all, because we are trying to so hard to capture it. This is when we step back, hold up our phone, and miss it. A while ago, I wondered about how different my round-the-world-year would be if I were to experience now. I would be travelling with my phone, recording everything and uploading it. Would I really be experiencing it? And afterwards, could I relive what I didn’t experience? Or, would I retroactively experience something else altogether depending on how I curated all those captured moments online? In À la recherche du temps perdu, Marcel Proust revisits his life to find meaning, and explores what he calls involuntary memory. Eating his infamous madeleine, the taste of which evokes his childhood, Proust slips out of the present and into the past. And, then of course the act of writing and musing on his past in order to find meaning in it, creates a new moment: the combination of the present moment of writing and the past moment which exists in memoir only – a simulacrum of the two moments which created it. Imagine if he had had a whole Internet full of his memories to write his memoir from. And, what happens to us now when we can record every single thing we ever do, and what gets said and done to us? There are at least a dozen times a day when we are needled, when our needs are not met, and our bodies immediately react with the flight or fight response. Imagine being able to record and remember every single needle, every single moment when we felt a lack? Joe Dispenza says in Breaking the habit of being yourself that we will try to run from any emotion which is painful, because to look at it is too uncomfortable. Amazingly, we can run away very easily with modern technology. We can alter our internal chemistry by laughing at a YouTube video, becoming fearful with the latest news on our social media feeds, or get into an angry or exciting Twitter conversation. The possibilities are endless and so our unwanted feelings seem to go away by these distractions. But, then we rely on these distractions – outside of us – so that we can feel better over and over again. And, often we are distracted by the angriest people who shout the loudest on social media, and who don’t make us feel better about ourselves or what is going on in the world. Occasionally, though we have a breakthrough and experience catharsis, an emotional release, by living someone else’s story. Ultimately, this is why we love a good movie, a book, a meme. We find relief in someone else’s experience because it connects us to them, and also back to ourselves. We mirror each other. When we get immersed in a book, or online in a game, we get a new point of reference, and we use the world in the book or game as starting point, which frees us from ourselves. Normally, we are embodied, that is, we experience the world through our bodies and limited senses and then our brain interprets the experience in light of our past experiences. We pattern match any new experience to a similarly bad or good one that we have had before, and behave in a way that makes this new experience fit its predecessors. We never have a raw experience. But, in virtual reality therapy and in gaming, we can escape our embodiment and adapt to a new world, which potentially opens us up to raw experiences. Research shows that computer games light up the part of the brain responsible for motivation and learning, and so games are being developed to help people with depression or who have suffered trauma, to train their brains to leave behind their thought patterns and develop new ones. Gamers can literally learn to lose themselves. In his TED talk, psychologist Mihaly Csikszentmihalyi identifies that those people who are the most satisfied with their lives regularly engage in activities in which they lose themselves to bring about a state of flow. In the language of meditation this flow is known as the gap, which is where our unbounded consciousness – the space between our thoughts and ego – lie. It is there where we find our pure potential and infinite possibility. Meditation guru davidji says we have all experienced the gap during those times we have dazzled someone in conversation, that moment when the roller coaster drops us into free fall, or when we lose ourselves in the one we love. I find meditation incredibly difficult, but gaming less so, and it is with excitement I view the possibilities of technology to teach us how to truly connect to a moment in the right way. 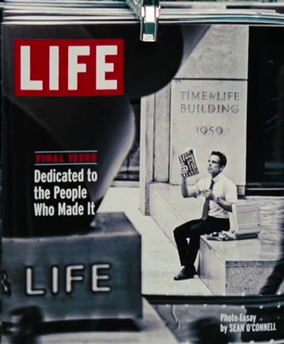 And this is why I used The Secret Life of Walter Mitty (2013) at the beginning of the blog. It got mixed reviews on its release but I love this film. For me, it is a gentle celebration of living in the present moment and connecting with who you are. Walter Mitty lives a grey life as a negatives manager at photo magazine whilst in his head he lives out the most colourful fantasies, until the day his job is threatened and he is forced to engage with life instead. The film’s colour palette saturates, causing Mitty’s grey life to become as colourful as his fantasies because he has opened himself up to the present moment and all it has to offer. And, this cinematic devices captures perfectly what happens when you tune into your own life in the gap or follow your bliss as mythologist Joseph Campbell put it. Mitty also gets the girl, because instead of just imagining, sometimes hilariously, himself in relationship with her, he learns to stays present in his own life long enough to discover the magic of being all of himself, which is what life coach Martha Beck identifies as the key: Being loved is all about loving yourself. And, being fully present in a moment, paradoxically, is about letting go and losing yourself in it, whether you are holding your phone or not. I have always believed that technology augments us, and social media reflects us, so it makes perfect sense that the digital landscape has the potential to teach us how to be more ourselves, more human, in every moment of our lives. Perhaps technology doesn’t own us after all.